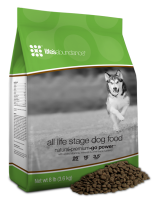 Life's Abundance premium dog and cat food contains select ingredients to help your dog or cat achieve optimum health. We use a “fast-cook” process at low temperatures to help preserve the nutritional value of each and every wholesome ingredient. And we maintain strict inventory controls to ensure the quality and safety of our foods. 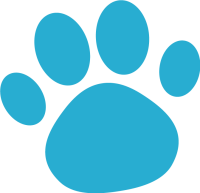 Serving the pet community since 1999 - No Recalls! 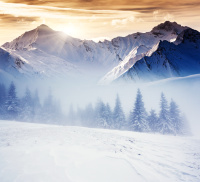 Holistically formulated, multi-action joint supplement helps maintain healthy joint cartilage and connective tissue, and to aid in the production of healthy synovial fluid, which lubricates the joints. Put your K-9 on the path to wellness. Fresher food is more nutrient-rich. 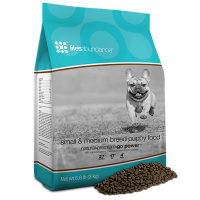 While leading brands stockpile tons of food for months on end, our healthy dog food is made weekly in small batches. 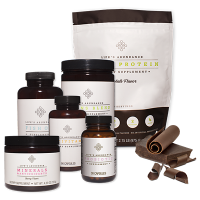 We provide an array of superior quality, safe and effective products that are inspired by nature, informed by science. 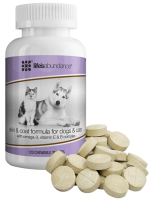 Life's Abundance is formulated by a holistic veterinarian, ships to your door generally within 4-6 weeks of being made, and never been recalled!. 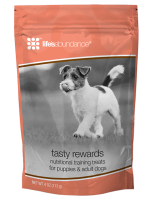 When you buy this Life’s Abundance dog food, your sweet pup will benefit from our strict inventory controls and product safety considerations that are second-to-none. I found how to earn an extra paycheck every month. If you would ever like to know how, I would be happy to tell you. In the meantime, enjoy our site. 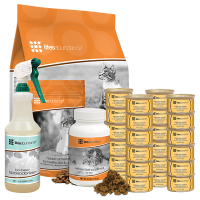 Learn the seven simple reasons why sharing Life's Abundance products is the best move for pet professionals. We have a special program for breeders! 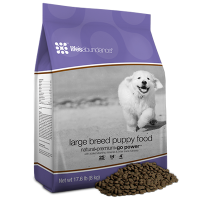 Feed your puppies top-notch nutrition and receive discounts on dry food. Get your big bundle of joy off to a healthy start. 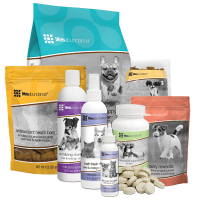 Dr. Jane Bicks, our veterinarian formulator, chose each product in our Healthy Start Pack for Large Breed Puppies for a specific reason. Get your pint-size pooch off to a healthy start. 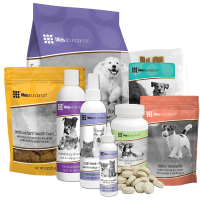 Dr. Jane Bicks, our veterinarian formulator, chose each product in our Healthy Start Pack for small and medium breed puppies for a specific reason. 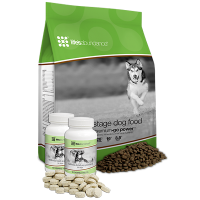 Every dog has unique nutritional needs which can be affected by life stage, differences in personality, living conditions (sole “child” or one of many), environmental factors and activity level. 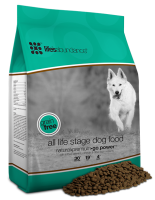 Our Nutritional System unites All Life Stage Dog Food with Wellness Food Supplements in a single purpose – to provide your dog with excellent nutrition, every single day. Fans of primitive diets will love this single-ingredient, grain-free treat. And the flavor will make your doggo howl with delight! The freeze-drying process preserves the robust, wholesome flavors that dogs crave, sealing in all the vitamins and minerals found naturally in our pasture-raised turkeys. With zero carbs, fillers or artificial anything, Turkey Hearts tempt the taste buds of even the fussiest eaters. Ideally sized, their meaty sumptuousness is a powerful motivator for good behavior! 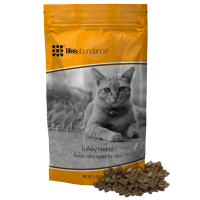 There’s no better way to satisfy the hunter in your cat than this back-to-fundamentals treat. The freeze-drying process preserves the robust, wholesome flavors that cats hunger for, sealing in all the vitamins and minerals found naturally in our pasture-raised turkeys. 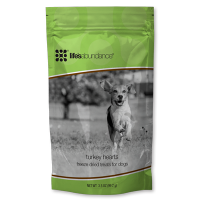 With zero carbs, fillers or artificial anything, Turkey Hearts tempt the taste buds of even the finickiest eaters. 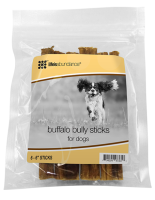 Good joint health is crucial to your companion animal’s wellbeing. The ability to walk, run and jump represents a large part of your pet kids unique ability to express emotion. 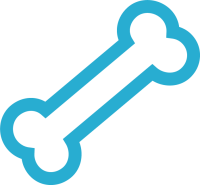 Unfortunately, aching and stiff joints are just as much a part of aging for dogs and cats as it is for humans. 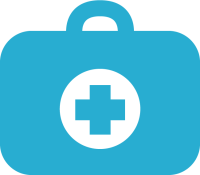 In fact, tens of millions of dogs and cats experience some form of joint challenges. 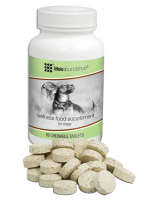 Supplementing your dog’s diet can play a crucial role in maintaining overall health. 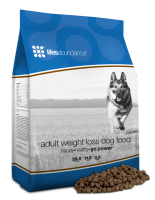 We know that some dogs require additional nutritional intake to help them maintain a healthy body, due to age, breed, and other factors. 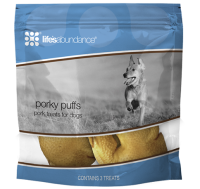 The nutrients contained in this superior supplement are sourced from foods, chicken liver, cranberries, carrots, eggs, pineapples and many others. Regular supplementation of long-chain omega-3 fatty acids (EPA and DHA) from fish oil can help support your pet’s healthy skin, coat, heart, brain eyes and joints. 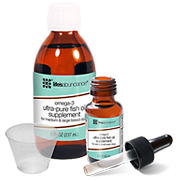 However, numerous supplements on the shelves today do not contain the optimal concentration of fish oil. In addition, many of these supplements are not tested by an independent laboratory to ensure purity and safety. 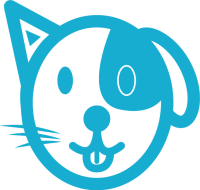 Unfortunately, skin irritations are all too common for companion animals. That's why we offer Soothing Mist, an herbal blend created to enhance the natural health of the skin and to nourish coats. This spray features zinc and a calming blend of aloe vera gel, marigold, lavender and chamomile to help soothe and protect healthy skin and coats. 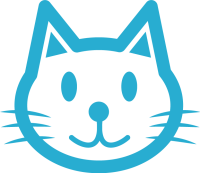 Eliminates odors from pet beds and pet accidents on carpet and grout, and freshens litter boxes. BioDeodorizer is non-toxic, fully biodegradable, has a neutral pH and contains no harmful phosphates. Great for anything your pet can dish out – from urine to vomit to feces. Would it be okay if you got an extra paycheck every month? We answered YES and love having an ongoing income by showing people how to provide pets with the best possible nutrition. 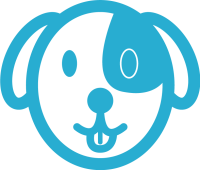 Sending my puppies home with a holistic food that is made in small batches to provide the freshest-possible food and never been recalled helps keep my puppies healthy for their lifetime. Our Labrador, Jersey has a torn ACL since she was a puppy. 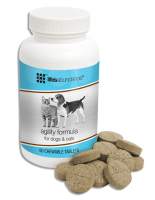 With the Agility and Fish Oil supplements, she has avoided surgery and lives a normal quality of life!